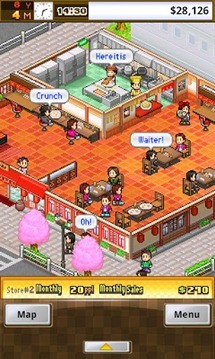 Kairosoft, makers of Game Dev Story (who'd have thought a game about making games would be so addicting?!) 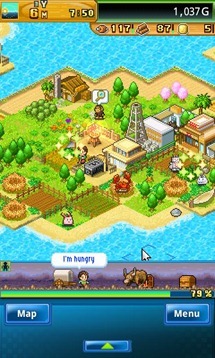 have released their newest title in the long running simulation series: Legends of Heropolis, in which the player takes on the character of a hero to rebuild a desecrated town. 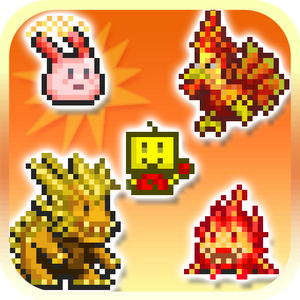 Like some of the recent Kairosoft games (although unlike Game Dev Story), Legends is ad-supported, meaning it is a free download from the Play Store. 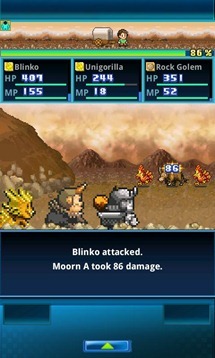 However, the gameplay is mostly similar to other titles from the company, feeling a bit like Pokémon games of old with a splash of modern RPG added in. Kairosoft is a gaming company that has built a name for themselves on quality. 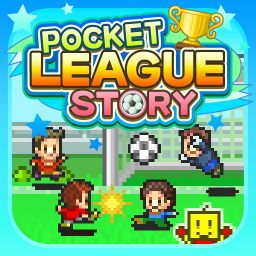 Their simulation games have constantly topped many reviewers' "best of" list for Android titles, and personally they've enthralled me for many an hour. 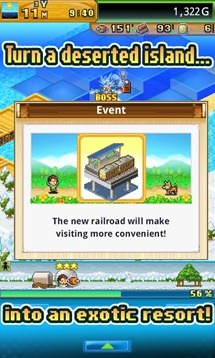 It seems almost peculiar, though, that they've never delved too deeply into in-app payments or other models that are more prevalent on the Android platform. Kairosoft has stuck to their guns and delivered a full game for a set price, forgoing "pay to win" shortcuts in favour of good mechanics and pure fun. So naturally when they released "Beastie Bay" recently, you can understand how a free, ad-supported game might ruffle some feathers. 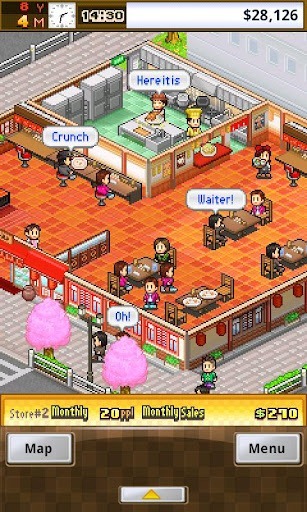 Kairosoft, makers of the wildly popular Game Dev Story (and a ton of other "Story" games), released Cafeteria Nipponica to the Play Store today, bringing a familiar art style and gameplay format back once again, but this time in a restaurant. The game poses players as "chef de cuisine" at their very own restaurant, allowing for total control over every detail from tables to TVs to menus, ingredients, salary negotiation, dish development, and much more. 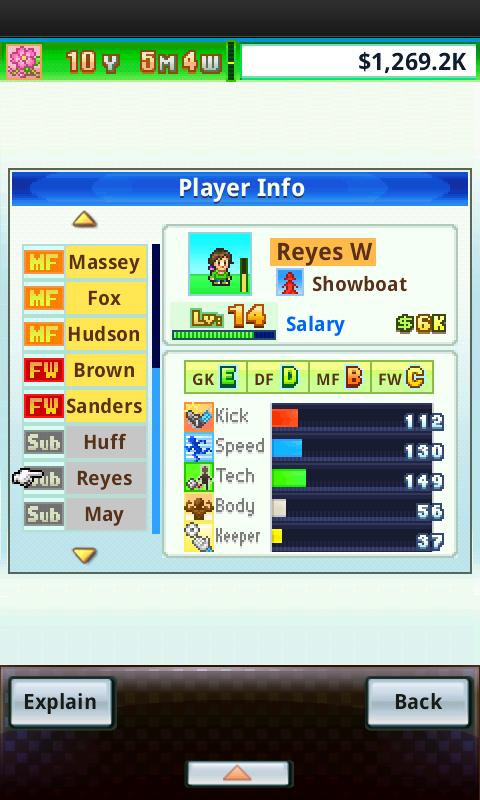 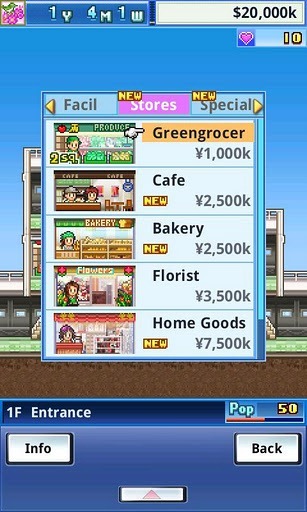 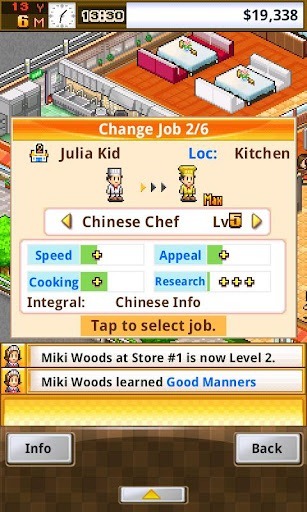 Like in Kairosoft's other games, players must recruit a top-notch crew to make their way up the restaurant ladder. 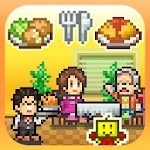 Successful restaurateurs can even host special events including eating contests and cooking classes. 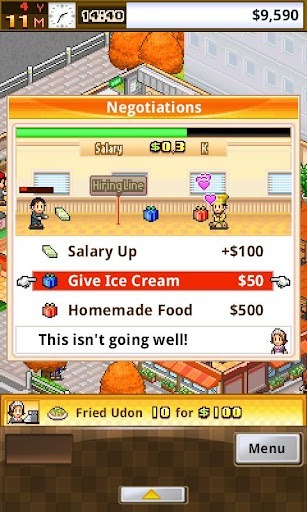 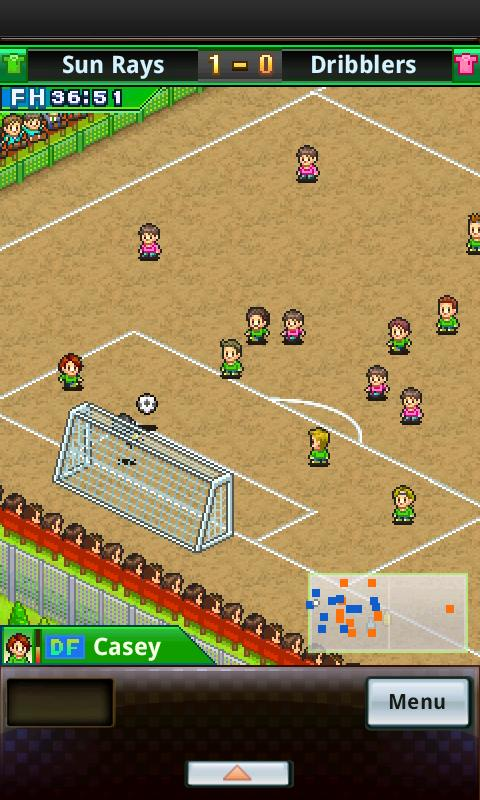 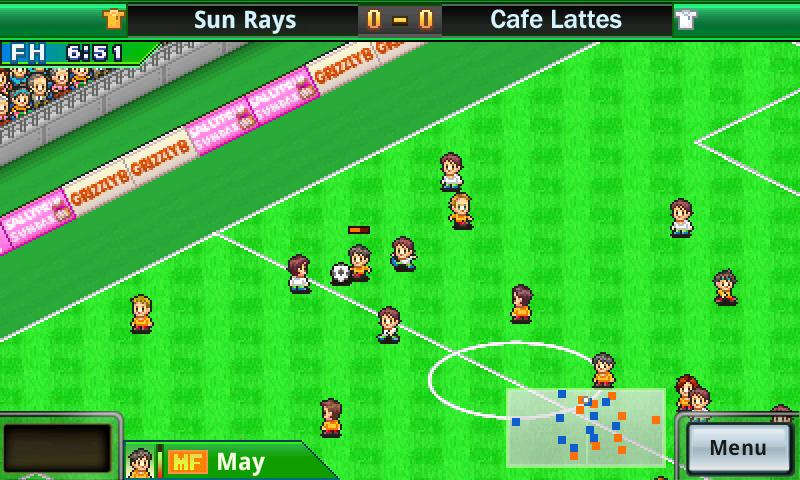 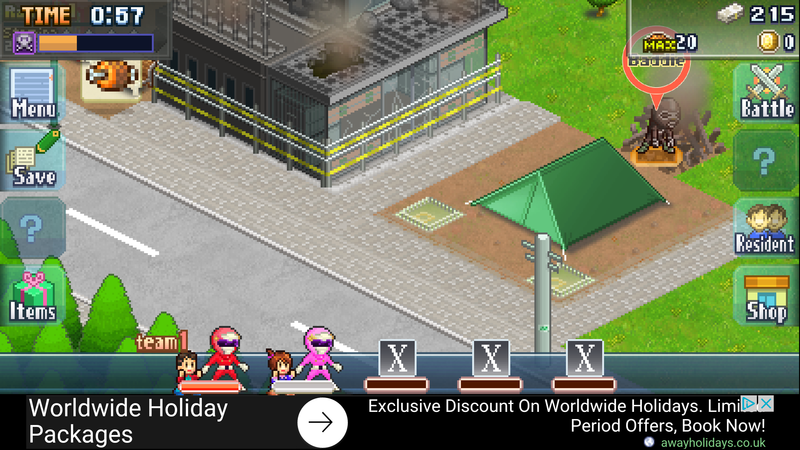 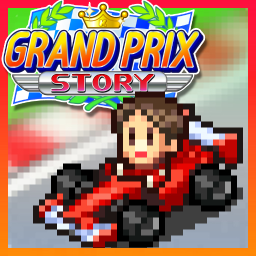 In the ever-expanding world of Kairosoft's Story games, another entry just made its way into the Android Market. 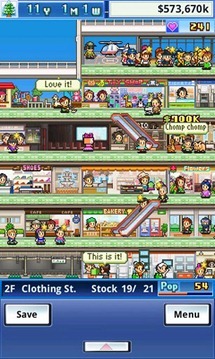 This go around it's all about designing your own mall, complete with food court and storefronts. 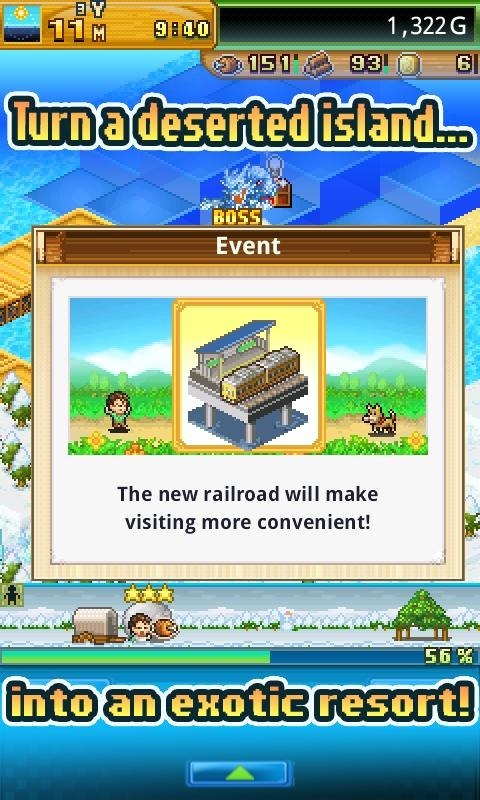 There are several options in place to make your mall the top-dog of them all - you can even add a helipad on top! 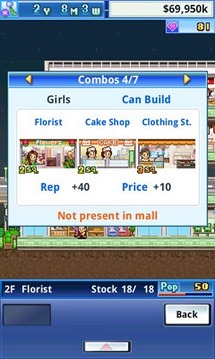 Once your facility hits a certain level of popularity, a "fever" will strike the patrons and your mall will be swamped with new business. 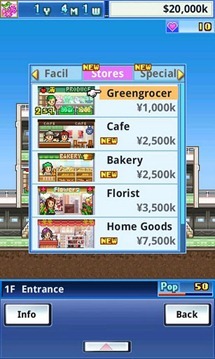 After you're well established, invest some money in surrounding areas and bring in even more business. 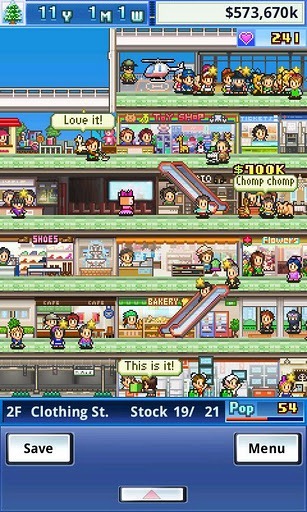 The game is $4.99 in the Android Market; hit the link below and start building your way to mall fame!